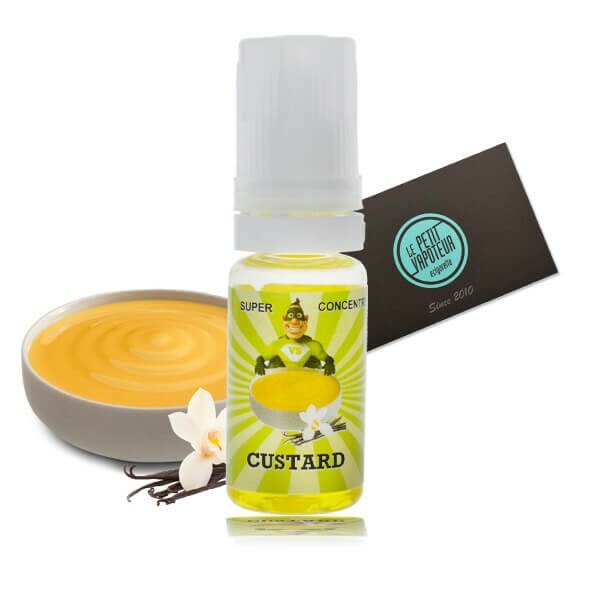 Aroma Custard Super Concentrated from Vapote Style for the preparation of your E-Liquids. Mix with a PG/VG base. The Aromas The Super Concentrated are made by Vapote Style. The Super Concentrated Aromas are made by Vapote Style. These products meet the specifications destined for E-liquid and do not contain Sugar, Oil, Vegetable Gums, Diacetyl, Ambrox, Derived and Paraben. "Ce n'est que mon avis mais je ne sens que le beurre, pas la vanille." "Agréablement surpris, très bon rendu"
"y a mieux en custard, mais le prix est très bas..."